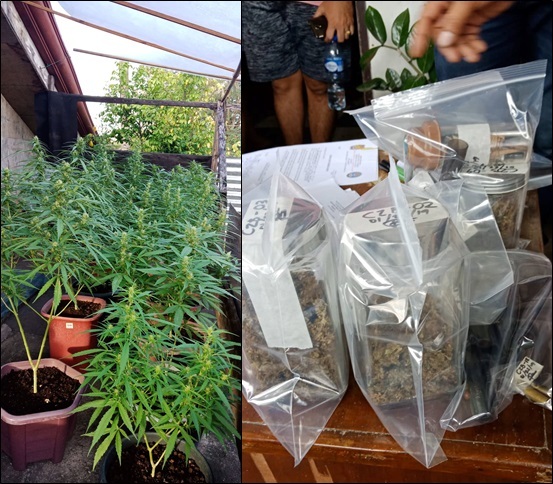 Police found 18 potted marijuana plants and several containers of dried marijuana leaves and seeds during a raid at a house in Barangay Taloto, Tagbilaran City early Tuesday morning. When police raided a Tagbilaran City house owned by the family of a former Sangguniang Kabataan chairman for a gun charge, they were not expecting to find a garden of fully grown marijuana plants inside the nondescript home. Operatives of the Criminal Investigation and Detection Group (CIDG) early Tuesday arrested Van Barol, 52, and son Chrisvan Barol, 28, a former SK chairman, during a court-ordered police search in their house in Barangay Taloto which led to the discovery of marijuana plants hidden on top of a concrete water tank. According to CIDG Bohol head Chief Inspector Patrick Ramilliano, the raid yielded 18 potted marijuana plants which were over a foot tall, dried marijuana leaves and seeds, and two loose firearms. The search was carried out by the CIDG through a warrant issued by Judge Leo Moises Lison, executive judge of the Regional Trial Court Branch 3 in Tagbilaran City. Chrisvan was listed as respondent and alleged owner of two loose firearms, .38 caliber and .357 caliber revolvers, in the warrant. Van and Chrisvan were apprehended for violations against Republic Act 10591 or the Comprehensive Firearms and Ammunition Act of 2013 and Republic Act 9165 or the Comprehensive Dangerous Drugs Act of 2002. It was Van who claimed ownership of the marijuana plants and one of the seized firearms, a .357 caliber pistol. However, he alleged that the other pistol, a .38 caliber revolver, was planted by authorities—a claim which police denied. According to Van, the marijuana plants were for personal consumption and given for free to those who needed the plant for medicinal purposes. “Ma-relieve ahong…Di na ko mangita og shabu,” added Van after asked by media what ailment was relieved when he smoked marijuana. Ramilliano, on the other hand, noted that it was unlikely that the plants were only for personal use due to the large quantity of the seized contraband. Van Barol and son, Chrisvan, were arrested by police after marijuana plants and two loose firearms were allegedly found inside their home. Van is listed in the Tagbilaran City police’s drug watch list, Ramilliano added. 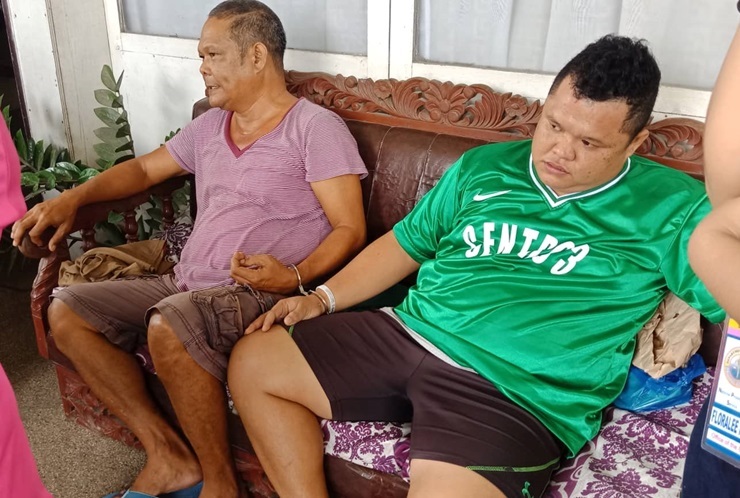 Both Van and his son are now detained at the Bohol Provincial Police Office (BPPO) headquarters in Camp Francisco Dagohoy in Tagbilaran City.